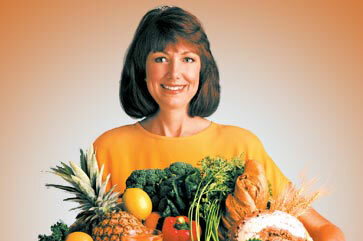 Cherie Calbom, MS is the author of the best-selling Juicing for Life, which has nearly two million books in print in the US. Known as “The Juice Lady” for her work with juicing and health, her juice therapy and cleansing programs have been popular for more than a decade. Cherie has worked as a clinical nutritionist and has a master’s degree in nutrition from Bastyr University, where she now serves on the Board of Regents. She is also known as George Foreman’s nutritionist and the other spokesperson for the George Foreman grills. I answered the phone one afternoon to hear the excited voice of Denise at the other end of the line. She had just lost 8 pounds on the Turbo Diet. Having read about it in the cover story of Woman's World magazine's May 4, 2009, issue, she had tried the juice diet as a last resort. "It's just amazing to me," she said, "that I've lost this much weight so quickly and easily. I've dieted and dieted on all sorts of plans and couldn't lose any weight. I even went on a strict three-day water fast and hardly lost anything. Now, the weight is just melting off. It's amazing!" Amazing is a word I hear frequently about this diet. Why have so many people found the Turbo Diet to be amazing? The Turbo Diet is loaded with nutrients—enzymes, minerals, vitamins, phytonutrients, and life! That's right! It's full of those little energy sparks we call life. Fresh raw juices are considered live food because they feed the body a cornucopia of nutrients that have not been destroyed by heat or processing along with the energy the plants absorb from the sun. This diet is also high alkaline, low acidic, and low glycemic. Achieving a healthy alkaline-acid balance through your diet and lifestyle is so important to weight loss and health that once you understand the importance of this factor, vegetable juices will taste even better. On the Turbo Diet, "the munchies" just seem to disappear. You might realize one day that you don't want the junk food you used to eat. In fact, you will probably find that junk food makes you feel awful and it's just not worth it. I'm not saying that a potato chip won't ever lure you into its grip. But you will be better able to resist the call of that starch, grease, and salt when your body is well fed and pulsating with energy. Freshly made vegetable juices are at the center of the Turbo Diet. They provide concentrated sources of very absorbable nutrients. They are low in fat and calories, so replacing higher-calorie foods with fresh juice is a shoo-in for weight-loss success. But the benefits of juicing don't stop there. Vegetable juices help curb cravings because they satisfy your body's nutrient needs. They're alkaline, which is very helpful to balance out a system that's probably too acidic. They're also high in antioxidants that are antiaging and immune enhancing—that means you're giving your body the things it needs to start looking and feeling younger. How cool is that! And this diet doesn't toss the carrots out with the potato chips because all carbohydrates are not created equal. You will learn which carbohydrates are healthy and which are not as you discover why the low-glycemic diet works so well with vegetable juices. Your taste buds will be happy—the juices taste great! But clearly the most important aspect is that juicing helps you improve your health. And since you get one precious body for one lifetime, that's far more important than just getting skinny. The Juice Lady's Turbo Diet teaches you how to eat healthily to stay trim by consuming good carbohydrates, lean proteins (unless you're vegan), healthy fats, and two glasses of fresh vegetable juice each day. You will be arming your body with an arsenal of powerful weapons to help you lose weight, lose cravings, and get healthy—maybe healthier than you have been in years. That's weight loss with a mission! Radio broadcaster Sarah Taylor was on the cover of the May 4, 2009, issue of Woman's World magazine and the featured person in the Turbo Juice Diet story. "I'm currently down 20 pounds, which is HUGE for me, as I haven't successfully lost weight in years," said Sarah. "But the best part is that I wasn't trying to lose weight. I just incorporated healthy, live foods through juicing for nutrition. The weight loss was just a bonus!" She said she started filling herself up with the right foods and her body said thank you! "I lost 20 pounds in ten weeks," she added. "This is the only diet that's ever worked for me. I love it!" Vegetable juice is the secret ingredient to your weight-loss success. It assists you in becoming slim and healthy due to its alkalinizing, nutrition-packed, energizing properties. Let's face it—juicing is a lot easier than spending all your time chowing down brussels sprouts, carrots, and broccoli. Don't get me wrong. I recommend that you eat these vegetables often, but really, just how many vegetables can you eat in a day? But you can juice them and drink them with ease. Because vegetable juice has very little sugar, while offering an abundance of vitamins, minerals, enzymes, and phytonutrients, it's incredibly helpful for weight loss. It offers what your body needs to fight cravings and do its work to keep you healthy. You will not only want to eat fewer calories when you include vegetable juicing in your daily routine, but you will also gain energy. On the other hand, you can eat a whole bag of chips and still want something more to eat because your body was given a lot of empty calories that made you feel sluggish and tired. The biggest plus of a juicing program is that it adds valuable nutrients (vitamins, minerals, enzymes, and phytonutrients) that are easy for your body to absorb and that have a heap of health benefits at minimal calorie cost. You will be downing highly concentrated health cocktails brimming with life and loaded with nature's bounty of nutrition necessary for vitality and a healthy immune system. This facilitates optimal functioning of all your body's systems. Most of us are very aware of the side effects of unhealthy appetite suppressants or risky surgery, but sometimes people feel that they have no other option. I'm here to tell you that you do have options, and the Turbo Diet is one of the healthiest options on the earth! The vegetable juices act as healthy, harmless appetite suppressants. You can opt for a glass of fresh veggie juice before your main meal and quickly experience those hunger pangs taking an exit. That's just one of the secret reasons why the Turbo Diet works. Sometimes people say that they just don't have time to juice. My answer is that there's always time and creative ways to accomplish what we value. I have a friend known as "Dave the 'Raw Foods' Trucker" who's lost a truckload of weight by juicing. Dave was desperate to drop about half his weight and restore his health. Weighing in at 430 pounds, he faced losing his job because of his poor health. He had no idea how he would earn a living if he lost his driving profession. To say the least, this made him anxious to find an answer that worked quickly. When a friend introduced him to vegetable juicing, it made sense that this could change his life. Dave bought four juicers—two for his house and two for the truck—two so that he'd always have a backup in case one broke down wherever he was. He also bought the longest extension cord he could find. He'd plug in the cord in restrooms at truck stops and juice on picnic tables. He said this was not easy because he'd often draw a crowd of folks who were very curious about what he was doing. They'd ask lots of questions and slow him down as he tried to explain what he was up to. But Dave never gave up. He just kept juicing and drinking his hearty green juice combinations on the road six days a week. I now say to people, "If Dave can juice on the road, living out of a truck most of the week, plugging in an extension cord in a restroom, and juicing on picnic tables, you can juice at home or at work." No more excuses! Vegetable juice can also play an important role in stabilizing blood sugar, a vital factor in appetite control, because it's very low in sugar. Sugar and foods like refined flour products (such as bread, rolls, and pasta) that quickly turn into sugar in your body cause spikes and dips in blood sugar. Now that's something to get excited about. When your blood sugar gets low, you can get ravenously hungry and sometimes grouchy. The sugar percentage of vegetable juice is much lower than that of fruit juice and the calorie count is up to 50 percent less, yet the juice succeeds in satisfying a sweet tooth. Amazing! This makes vegetable juicing an absolute must for successful dieting. Experiment with carrot, lemon, and ginger or a combination of carrot, Jerusalem artichoke, lemon, and parsley juice when a carb-craving hits. The juice jolt will give those cravings a knockout! We all know about cravings that kick up the appetite for things like chocolate chip cookies, ice cream, or tortilla chips. Experiencing strong food urges for sweets or salty snacks can feel almost as overwhelming as getting caught in a big ocean wave. The most frequently craved foods are usually high in sugar and unhealthy fat—the stuff that packs on the pounds big-time! We don't eat these foods for their nutritive value but usually for psychological reasons such as depression, disappointment, stress, or boredom. Or we may suffer from conditions like seasonal affective disorder (SAD) or PMS that cause us to want to clean out the fridge from time to time. Whatever it is that has you craving high-carb snacks, feeding your body super nutritious juices can make a huge difference in overcoming the hankering. Vegetable juice helps curb your cravings because it's broken down into an easily absorbed form of nutrition that your body can quickly utilize. That means it doesn't have to go through the normal digestive process, which takes time. You can pack in a lot of food when you're really hungry before your brain kicks out the signal that there's enough nutrition to burn for energy. It's estimated that juice is at work in your system within about thirty minutes. Your body is supplied with supernutrients in short order. The signal goes to your brain that you're well fed and you no longer have the urge to eat. I've tried so many times to lose weight over the years. I've taken it off and put it back on more than once. The problem has been not being able to make a lifestyle change that I could live with and be consistent. I love to cook. I've found that I can get the same satisfaction out of choosing and juicing the right vegetables and fruit that I used to get from shopping and cooking. During the past three weeks, I haven't experienced food cravings that I used to when I tried other diets. I look at this as a healthy eating change, not a diet. I've already gone down one dress size and can see a difference almost daily! This is by far the quickest weight loss that I've ever experienced. I wasn't even trying for that initially; I just wanted to feel better first. I got both at the same time. When you satisfy your body with alkaline-rich, nutrient-dense juices and foods and your blood sugar stabilizes, your appetite for junk food, sweets, and high-carb fare begins to fade away. You may notice that your fatigue vanishes and energy zooms. You will feel more like getting up and going in the morning, working out, and getting things done. Like so many other juicing enthusiasts, you may also notice that your focus improves dramatically. That's because your brain is being well fed. When you eat nutrient-depleted food, your brain doesn't get as much of the raw materials it needs to make reactions happen. Things misfire, and you walk around looking for your car keys for ten minutes when they're in your pocket all the time. Now you can say good-bye to brain fog! As you can see, there are a lot of benefits with the Turbo Diet. What other program can offer all of this? 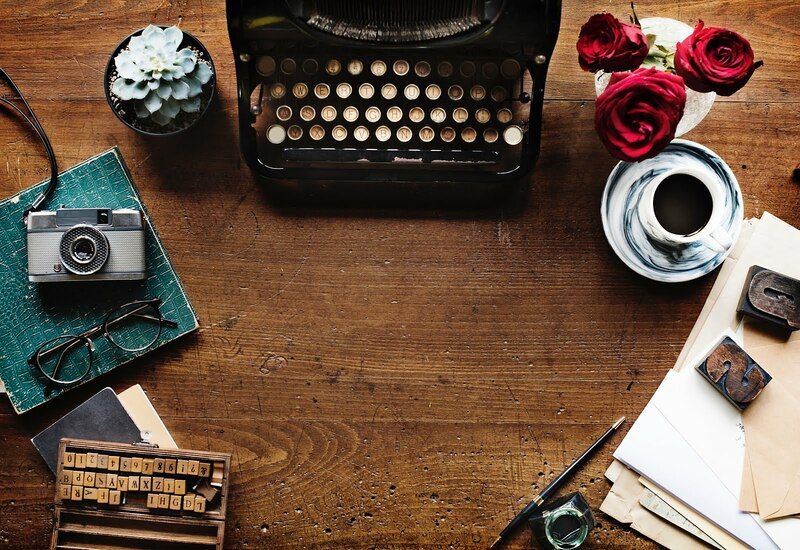 Let me first say a huge thank-you for all the work you do—for the books you've written and the many, many people you have helped, including myself. I feel very blessed to have been led to your juice book. I know I have embarked on a path that will be lifelong. I have been on every diet imaginable and every exercise program there is, and not one of them has had the impact on my life and my health like the information I got from you. I completed the liver cleanse and two weeks of the colon cleanse [from my book Juicing, Fasting, and Detoxing for Life]. It's amazing! I'm down 10 pounds. I'm loving every minute of the day—every mouthful of juice and food! Metabolism begins the moment we're conceived and ends the moment we die. It is a constant and vital process for all life forms, not just human beings. If metabolism stops, death occurs. In humans, metabolism begins with plants. A green plant takes in energy from sunlight. Photosynthesis then takes place as the plant uses this energy and chlorophyll to build nutrients from water and carbon dioxide. When a person eats the plants or meat from animals that have eaten the plants, he or she absorbs this energy in the form of carbohydrates, along with other nutrients. Then the carbohydrates are broken down so that the energy can be distributed to the body's cells. Glucagon is involved in the distribution of this energy. It's an important hormone involved in carbohydrate metabolism. Produced by the pancreas, it's released when blood glucose levels start to fall too low, causing the liver to convert stored glycogen into glucose and release it into the bloodstream. This raises blood glucose levels and ultimately prevents the development of low blood sugar. Glucagon also stimulates the release of insulin, so that newly available glucose in the bloodstream can be taken up and used by insulin-dependent cells. The primary job of glucagon is to maintain stable blood sugar levels in the body by releasing stored body fat so it can be burned for energy. The pancreas, in response to protein, stimulates glucagon, which then stimulates the use of fat for energy. It shifts metabolism into a fat-burning mode and mobilizes the release of stored body fat from fat tissue directly into the bloodstream. This process allows muscles to burn fat instead of glucose for energy, converts dietary fats to ketones and sends them to the cells for energy, and releases fat from fat cells into the bloodstream for use. The result is effective weight management. When this system gets out of balance from consumption of too many simple and refined carbohydrates, we gain weight and find it hard to lose the extra pounds. The Turbo Diet has payoffs with great dividends. I have personally witnessed people who have lost as much as a pound a day and without a lot of effort. There's no starvation, no deprivation. Eat a high-alkaline, low-glycemic diet. You will eat the largest portion of your foods from the alkaline-rich category consisting of vegetables, fruit, sprouts, nuts, seeds, healthy oils, and super greens. The rest of your diet will come from vegetarian or animal protein and a small amount of whole grains. Eat a large portion of your food raw—70 to 80 percent is your goal. Raw foods are loaded with enzymes and vitamins that are destroyed during cooking. Raw foods especially help you to lose weight. Eat plenty of vegetables on this diet, especially the brightly colored veggies that are highest in antioxidants. It is recommended that you consume at least two to three servings of veggies in addition to your vegetable juices. Eat small portions of lean protein—fish, chicken, turkey, lamb, beef, and eggs (if you don't choose to be vegan). Make these organic and free range for the healthiest choice. Drink eight to ten 8-ounce glasses of purified water each day. You could add some cranberry concentrate or pure unsweetened cranberry juice to the water to improve flavor and help to get rid of stored-up water in your body. Cranberry is a natural diuretic, is helpful for kidney cleansing, and contains high levels of organic substances that are thought to have an emulsifying effect upon fat deposits. Drink a cup of green tea every day. Green tea is thermogenic, meaning that it helps to improve metabolism. If the caffeine in green tea (only about one-third that of coffee) does not agree with your system, then choose white tea (still has a little caffeine) or herbal tea. It's best to avoid coffee as much as possible since it's very acidic. It can also cause irritability and difficulty concentrating. Although coffee does rouse one a bit, later on it causes a collapse of energy, which can make you want to eat fattening food. Consume good fats such as avocado, extra-virgin olive oil, and virgin coconut oil. Coconut oil is a thermogenic; the liver likes to burn it. Contrary to popular opinion, it's a heart-healthy, slimming fat. Avoid starches, refined carbohydrates, sugar, sweets, alcohol, and sodas, including diet sodas. If you want the fast track, you can juice fast (some people call it juice feast) one day a week. That's where you drink just vegetable juices for a day. (See chapter 8 for the Turbo Diet Fast Menu Plan.) On these days you should drink around two quarts of vegetable juice. You could make one of the juice meals a raw energy soup (juice to which you add avocado; see page 144 for recipes) to help with energy and to stabilize blood sugar. You will also exercise three to four times per week. Keep your colon moving. Constipation can contribute to weight gain. Keep well hydrated. Some individuals end up in a state of chronic dehydration when they are trying to lose weight because they don't drink enough water; they are afraid of additional water weight. But they are actually hindering their bodies' ability to metabolize fat. A state of chronic dehydration will inevitably lead to weight gain. Being fully hydrated is a prerequisite to weight loss. To achieve successful weight loss, you must drink enough water so that your body is not in a state of chronic dehydration. When your body is in this state, you will not lose the excess fat very easily. Keep a positive attitude. Never tell yourself that you can't do something like lose weight. Remove all negative thoughts from your mind; speak and think only positive words to yourself and others. If you have a 5-pound reduction goal by the end of two weeks, see those 5 pounds gone. Think about this in terms of what you want to weigh by the end of two weeks. How great will you feel when you are 5 pounds lighter? Guard against self-defeat. Don't let it get you before you even get started. If you reach a plateau at any time during your Turbo Diet or you want to accelerate your weight loss and healthy lifestyle plan, you can cleanse your body, starting with the colon cleanse program and then the seven-day Liver and Gallbladder Cleanse, which are outlined in detail in my books Juicing, Fasting, and Detoxing for Life and The Juice Lady's Guide to Juicing for Health. A congested liver and gallbladder could prevent you from losing weight. Also, you may find it impossible to shed pounds until you cleanse toxins from your body, especially the organs of elimination. For example, toxins trap water and fat cells in pockets we call cellulite. Detoxing your body is the key to ridding it of these lumpy fat deposits. When you've lost most of the weight you want, you can slowly add in more healthy carbohydrates, including whole grains, potatoes, squash, and fruit. Typically, in this phase, you will lose about a pound per week. If you eat too many of these higher carb foods or you splurge for holidays, vacations, or special occasions and gain weight, you can quickly lose the extra pounds by cleansing your body with the One-Day Vegetable Juice Cleanse and strictly sticking with the Turbo Diet. One day you will celebrate the achievement of your weight-loss goals. Then you will be able to eat more healthy carbohydrates, but you will be in the habit of choosing the right ones by this time. If you eat too much and put on a few pounds, you can get right back on track by going back to the Turbo Diet. If you trip up and binge during a stressful time, you can schedule a vegetable juice cleanse day and flush out the toxins. This is the design that can help you maintain your ideal weight for the rest of your life. Research Proves the Juice Diet Works! It is estimated that 47 million Americans have some combination of these risk factors, placing them at increased risk for diabetes and heart disease.5 That's why the low-glycemic Turbo Diet works so well for weight loss and can be especially helpful for people with blood sugar challenges such as those with metabolic syndrome. Insulin is a powerful hormone, its primary job being to push glucose out of the blood and into cells where it's converted into energy. It plays a critical role in blood sugar balance, weight management, and other important health factors. When blood sugar goes up, the pancreas releases insulin to deal with the sugar, but it often overreacts by releasing too much insulin. Then your blood sugar drops down, often way down, and so you eat more carbohydrates to bring it up again. The pancreas releases more insulin—and on it goes. As insulin becomes overabundant, the normal target cells in the muscles and liver will no longer recognize it. When this happens on a continual basis, insulin floats in the bloodstream much of the time. When insulin becomes the dominant, active hormone, it triggers a hormone imbalance that sets the stage for weight gain, obesity, type 2 diabetes, and even cancer. Even if you exercise rigorously, elevated insulin levels will not maximize fat burning. Still worse, elevated insulin levels will stimulate your body to store fat. Remember, this response is primarily the result of eating too many carbohydrates and not enough protein, fat, and fiber, which are found in complex carbohydrates such as vegetables, legumes, and whole grains. The key to correcting this imbalance begins with controlling insulin levels. Whether or not you have any of the symptoms of insulin resistance or metabolic syndrome, insulin control is vital for weight loss and maintenance. The low-glycemic diet with two glasses of vegetable juice per day is a good plan for you to control insulin response and maintain a lifetime of fitness. Insulin carries glucose to the trillions of cells in your body. When you are insulin sensitive, your body will do a much better job of shuttling glucose (blood sugar) into your cells than when they are not sensitive to this hormone. The open doors of your cells allow this fuel to be used for energy. How easily glucose is shuttled into your cells defines how sensitive they are to insulin. The Baylor College of Medicine study mentioned earlier involved a large percentage of participants with metabolic syndrome—a cluster of characteristics that include weight gain at the midsection, insulin resistance, low HDL, high blood pressure, and elevated triglycerides. If not corrected by following a low-glycemic diet, this syndrome usually evolves into diabetes. Most of the people with metabolic syndrome in the study lost weight when adding vegetable juice to their diet, four times the weight of others that did not drink juice. You can read more about this syndrome and how to correct it in chapter 5. The standard Western diet produces inflammation. Inflammation produces insulin resistance. Insulin resistance produces weight gain. Weight gain produces inflammatory cytokines leading to more insulin resistance and more weight gain. It's a frustrating cycle. Insulin resistance starves the muscles, which react by sending signals to lower the metabolism to conserve energy reserves. Additionally, insulin resistance makes us hungry in an effort to feed our starving muscles. Under these conditions, weight loss becomes almost impossible. We look overweight, but our muscles think we're starving. The sad fact is that many grossly overweight people are in fact starving. As a result of this starvation, we eat more and more food, but often we reach for the wrong foods—sugars, refined carbohydrates, simple starches, and unhealthy fats in response to brain signals calling for more nutrition. This impedes weight loss in spite of our best dieting efforts. As these conditions worsen, we may develop cardiovascular diseases, diabetes, and hypertension. The Turbo Diet halts the inflammatory response in its tracks, putting a stop to this cascade of unhealthy reactions, and turns the body around to a balanced biochemistry. The GI diet refers to a system of ranking carbohydrates according to how much a certain amount of each food raises a person's blood sugar level. It's determined by measuring how much a 50-gram serving of carbohydrate raises a person's blood sugar level compared with a control. Virtually all carbohydrates are digested into glucose and cause a temporary rise in blood glucose levels, called the glycemic response. But some foods raise it more than others. This response is affected by many factors, including the quantity of food, the amount and type of carbohydrate, how it's cooked or eaten raw, and the degree of processing. Each food is assigned an index number from 1 to 100, with 100 as the reference score for pure glucose. Typically, foods are rated high (greater than 70), moderate (56–69), and low (less than 55). Over the four-day Thanksgiving vacation I decided to try your low-glycemic diet. I am sixty-one years old and have survived cancer five times as well as chemotherapy, radiation, and nearly two dozen surgeries. I have serious radiation burns in my abdomen. It's also contributed to arthritis in my joints and legs. I wanted to lose some weight, but the most surprising thing is that about three days after I cleansed my system of the simple carbohydrates, the arthritis pain began to leave. I have not experienced arthritis pain for nearly four weeks now. I have lost 10 pounds and feel 100 percent better. I have researched many comments about your plan (which included coconut oil) and find nothing but fabulous reviews. This is a simple, easy, effective plan to follow. On the Turbo Diet, you are encouraged to choose most of your carbohydrate foods from the low-glycemic index and a large percentage of those foods as raw. The foods on the recommended list on pages 128–137 are for the most part low glycemic and are nutrient-rich, not refined, and higher in fiber—like whole vegetables, fruit, and legumes (beans, lentils, split peas). Different carbohydrates take different pathways in the body after digestion. For example, some starchy foods are bound by an outer layer of very complex starches (fiber) like the legumes (beans, lentils, split peas), which increases the time it takes for them to be digested. So even though legumes are relatively high in carbohydrates, they have a lower glycemic response because of their complex encasing. Carrots are another example of glycemic inconsistency; they're often referred to as a high-glycemic vegetable. If a person consumes 50 grams of carrots, which are required for the test, they've eaten about 5 cups of carrots. Not many of us would eat that many carrots, even when juicing them. And even in that high quantity, carrots are still in the low-glycemic category, just a little higher than many other vegetables. There is also the antioxidant potential of foods to consider, meaning the amount of antioxidant nutrients a food contains, like beta-carotene and vitamin C that are abundant in many fruits and vegetables. In Chinese culture, carrots are often used as cooling medicine. Carrots, beets (both very rich in beta-carotene), and other brightly colored vegetables are especially important to include in our diet to prevent disease. These days many health professionals suggest we eliminate carrots and beets because of their glycemic rating, but the Turbo Diet does not exclude them because of their high nutrient and fiber content. The Turbo Diet has eliminated foods that are higher on the glycemic index and foods that do not have fiber and turn to glucose rapidly. This diet also eliminates foods that aren't rich in nutrients. Also, fruit is limited in the beginning because of the higher sugar content and because many people suffer from yeast overgrowth (candidiasis), to which fruit sugar contributes. Choosing low-glycemic foods that do not promote a rapid rise in insulin, and therefore do not promote fat storage, and foods that are rich in fiber and thus slow down the release of sugar into the bloodstream are the Turbo Diet's wise choices for weight loss. In contrast, higher glycemic index foods will trigger a rise in blood sugar, followed by a drop in blood sugar and a cascade of hormonal changes, which tend to make you hungry again quickly. The higher glycemic index foods are metabolized more quickly than low-glycemic foods. The blood sugar spikes of high-glycemic foods cause particular problems for people with diabetes, prediabetes, hypoglycemia, and metabolic syndrome. Quality, not quantity, of carbohydrates is the goal of the Turbo Diet. The aim is to feel full by enjoying plenty of smart carbs—like whole vegetables, limited amounts of whole grains, and legumes—along with lean protein, healthy fats, and a little fruit. You will completely avoid the high-glycemic foods, which tend to be made with sugar and/or white flour and are often highly processed. The glycemic index was developed by David Jenkins in 1981 to measure the rise in blood glucose after consumption of a particular food. This index shows the rate at which carbohydrates break down to glucose in the bloodstream. Test subjects are given a specified amount (50 grams) of carbohydrates in a test food, and then their blood glucose is measured over a period of time to see how it is affected. The blood sugar response is compared to a standard food, usually white bread, and a rating is given to determine how blood sugar is affected. Keep in mind that not all low-glycemic foods are healthy fare. Low-glycemic foods include candy bars and potato chips. These foods are not on the Turbo Diet because they are very nutrient depleted, contain sugar or turn to sugar easily, and lack fiber. You need to get the best nutrition for your choices. Likewise, there are moderate-scored foods such as beets and high-glycemic foods such as rutabagas and parsnips that are part of this plan because they are nutrient rich. With this plan, there's no obsessing over the glycemic index either, just a basic understanding of the principles. Keep in mind that certain factors can change a score, such as the riper the fruit, the higher the glycemic index score. But always choose ripe fruits and vegetables over unripe; they are healthier by far. Adding good fat to foods can lower the GI score. And keep in mind that the GI response to any given food also varies widely from person to person. It can even vary within the same person from day to day.10 That's why it's so important to be able to listen to your body and determine how the foods you are eating are affecting you. I lost 40 pounds mostly from around my waist over about a six-month period after I started juicing. I'm an athlete and used to working out a lot. But when I got a knee injury that prevented workouts, it became tougher to stay in shape. Then I started juicing every day. The weight just melted off without any effort. I went from a 38-inch waist to a 32-inch waist and from about 230 pounds to 190. I'm committed to juicing for the rest of my life. Years ago when I was taking prerequisites for my masters of science program in whole foods nutrition at Bastyr University, I worked for a weight-loss center part-time as a nutrition counselor. I noticed that a number of people who entered the program looked healthy, meaning they had good skin color and tone and vibrancy—they were just overweight. Soon into the program, I noticed that though they were losing weight, they weren't looking healthier. I observed a loss of skin tone, skin color turning a grayish pallor, and a loss of energy and vitality. I was alarmed. Even as a student I knew that it was not just about dropping weight; it was about getting healthier. I quit the job, unable to promote something that I felt did harm. Since I started juicing, my eyes are brighter and the pain in my left foot is gone! I could hardly walk before. I started juicing because I wanted to feel better and because I had lots of digestive problems. I had no idea that I would get rid of the pain in my left foot. When you embark on a weight-loss program, it should be about getting healthier along with losing weight. Whether you want to lose 10, 20, 50, 100, or even more than 200 pounds like Dave the "Raw Foods" Trucker, it isn't just about getting the weight off any way you can. I know people who have lost weight through drastic means and ruined their health in the process. Losing weight with vegetable juices and the Turbo Diet is one way to ensure that you choose a weight-loss regimen that doesn't sacrifice your health. That's why I'm excited about introducing you to the Turbo Diet. I know what it can do for you. So many people have praised this diet because of the increased health and energy they experienced. And if they can experience these great results, you can too. You're off to a great start and a lifetime of fitness! Well, I may as well admit that I just about devour diet books. I'd liken my experience with dieting books to watching exercise shows while sitting on the couch eating ice cream. Much like I do when The Biggest Loser comes on. I'm just sayin. I also like gadgets, so the very thought of having a juicer appeals to me. Cherie Calbom gives info on what to look for in a juicer and that helps because I wouldn't have the first clue how to go about that. I've seen the Jack Lalanne and Montel Williams infomercials when battling insomnia (that's my story and I'm sticking to it) but that was the extent of my juicing knowledge. 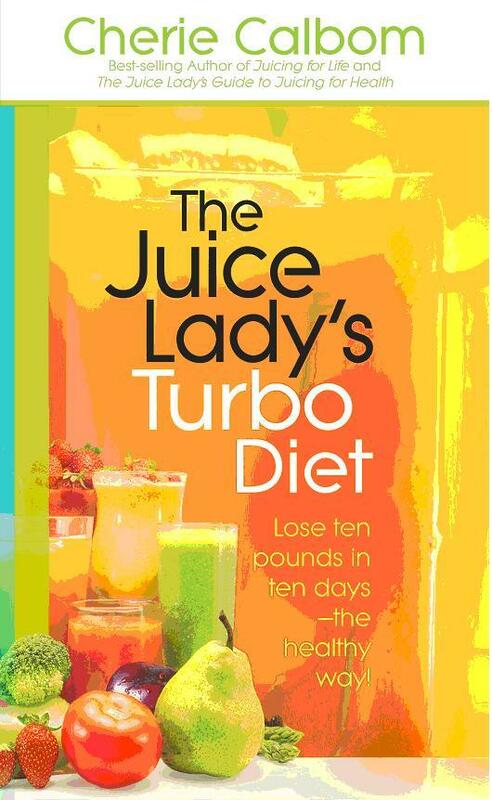 The Juice Lady's Turbo Diet caught my eye, honestly, because before now, I've just never understood juicing. I didn't get the attraction of it. I didn't get the science behind it. Now after reading nearly the whole book, I think I finally get it. And while I am not completely convinced to cut out all white simple carbs (probably because I love 'em), I'd like to try this lifestyle. At least for a little while to see if it works. I've heard the principles underlying the basics presented in this book before. So, there wasn't anything incredibly new to me. But, remember, I've ready many, many diet books. I do like the fact that The Juice Lady comes from a Christian background and while the book only refers to this a couple of times, it's so refreshing not to have to sift through lots of New Age mumbo-jumbo that seems to plague so many diet and exercise programs and paraphernalia.